Until April 2010 I had never heard of the brand Lipson before. 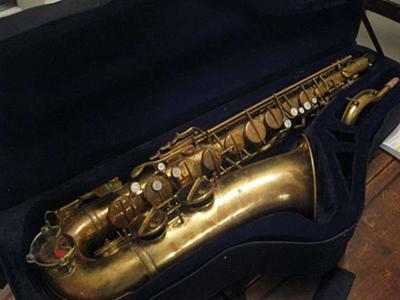 But one glance at the those distinctive acrylic key guards, fins for the neck guard as well as key shapes, and I immediately knew I was looking at yet another Hammerschmidt-stencilled saxophone. What’s interesting is that both this alto and tenor were for sale in Scandinavia: the alto in Sweden, and the tenor in Norway. It almost makes me wonder if Hammerschmidt built Lipson for a music store chain in Scandinavia. This alto appears to have its original ligature, and perhaps original mouthpiece as well. The ligature is identical to the one that came with my Hammerschmidt-stencilled Hüttl. 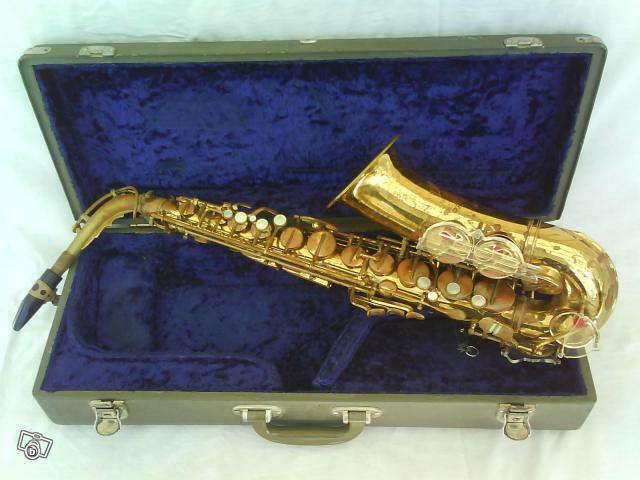 What is interesting is that despite both Lipson saxophones having acrylic key guards (although the tenor appears to missing its low B/Bb one), neither is a full-pearl model. 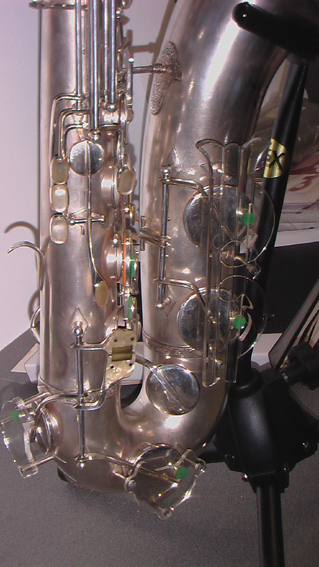 In other words, neither has mother of pearl on all its key touches—a feature that we usually see on the Hammerschmidt saxophones with the acrylic guards. Thank you to Thomas Fyledal who contacted me about the Lipson. Thomas himself owns a lovely nickel plated Klingsor tenor.